I need a good, designated catch-all area in my home. Ya know, because by the end of the week, the kitchen table, mantel, bookshelves, and any other flat surface becomes a breeding ground for clutter. I especially love this inspiring table area from Living Etc. The splashes of yellow are perfection, and it is a bit of organized chaos, which is always welcome in my home! How about you? 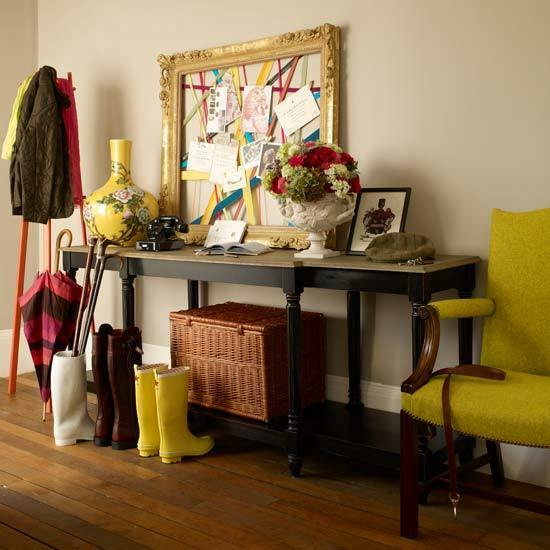 Does your home have an entry table or some other nook that serves as a "catch all"?